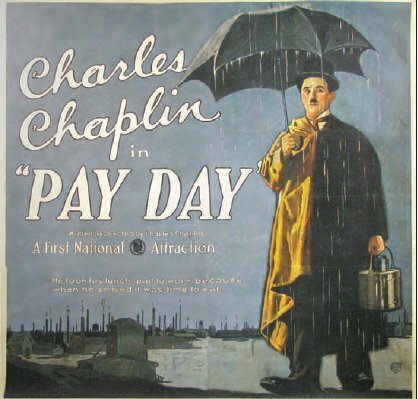 Charles Chaplin left Mutual Film in 1917 and signed a contract with First National. Their agreement amounted to more than a million dollars per year. 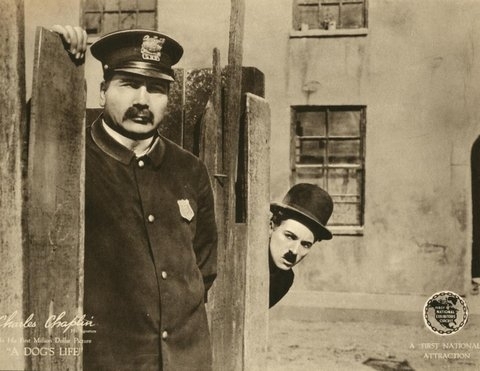 Chaplin was the first movie star to sign such a lucrative offer. 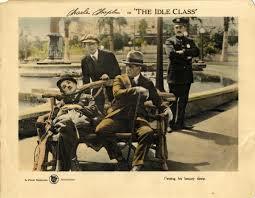 Loyal to his inner circle, he brought leading lady Edna Purviance and heavy Mack Swain with him, among others. 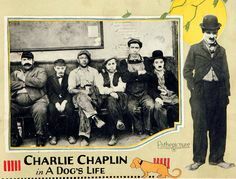 Although Chaplin’s first feature length film, The Kid (1921), would emerge from his five years at First National, his relationship with the studio was not an amiable one. 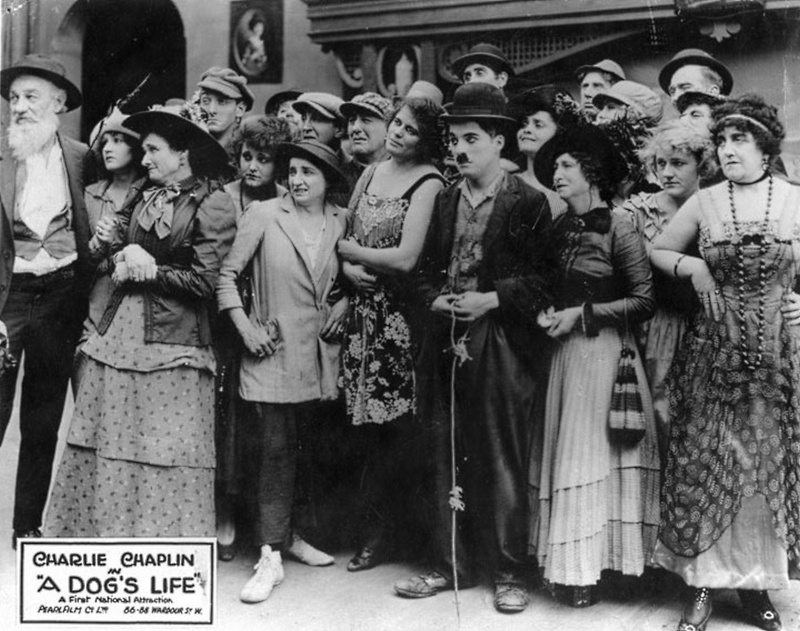 The struggles between artist and executives would inspire Chaplin to form his own studio, United Artists. Again, this was a first for Hollywood. 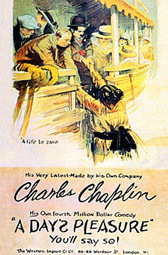 Most critics and film historians consider the First National films a notch below the work Chaplin did for Mutual. 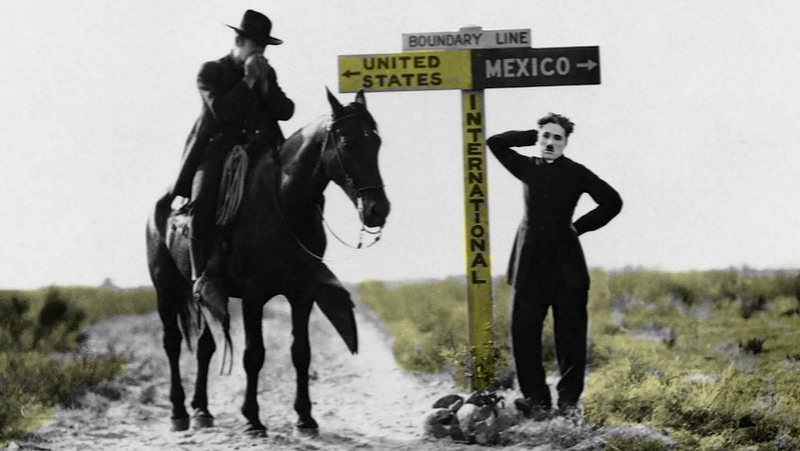 In the First national shorts, Chaplin’s level of inspiration often noticeably wanes, so the general consensus is, for once, correct. 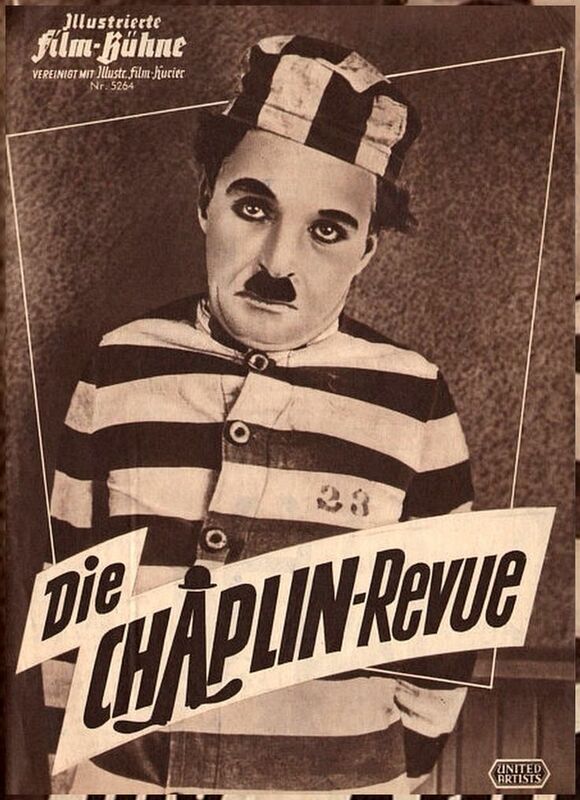 Still, even lesser Chaplin is worthwhile (well, until we get to the late Chaplin features). 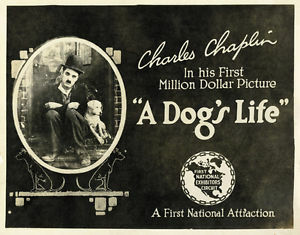 A Dog’s Life (1918) was Chaplin’s first short for First National. It was also the first movie to make a million dollars, more than justifying its considerable budget. Chaplin is in full Tramp mode here. 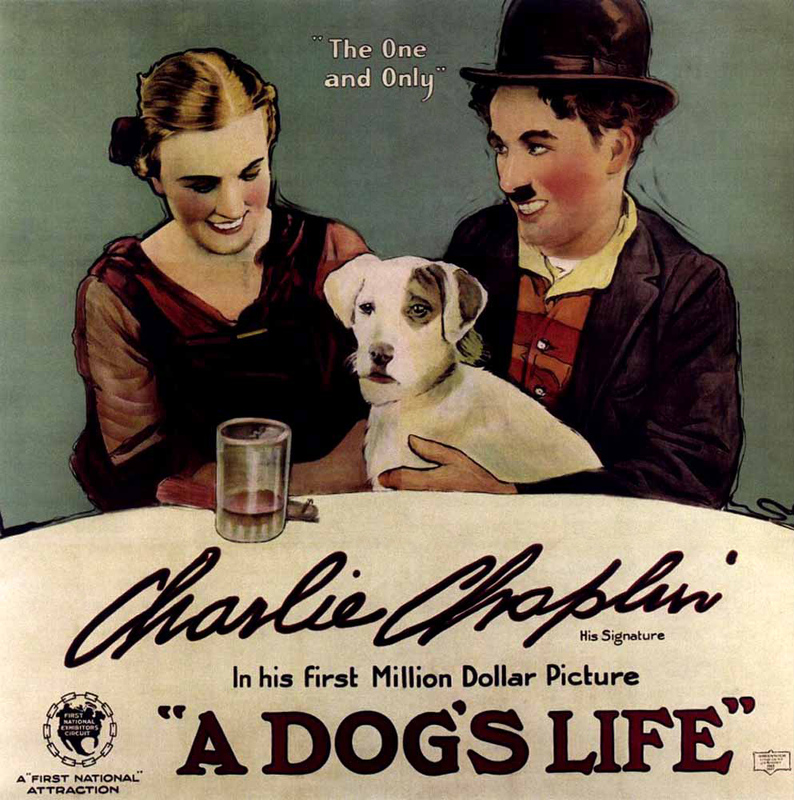 Although an immensely popular film, and containing elements which Chaplin would develop more fully in The Kid, A Dog’s Life is an uneven effort. Dawn brings only another day of misery in poverty. The Tramp ingeniously tires to steal a hotdog, but policeman Tom Wilson shows up to soil the spoils (Wilson would appear as the same character in The Kid). 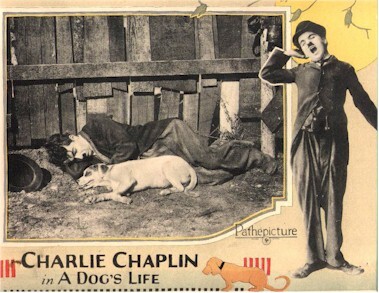 In flight, the Tramp saves a mongrel, Scraps, from a scrape with a pack of dogs. Scraps, like the Kid (and, the Gamin later still) is a reflection of sorts of the Tramp, creating an identifying bond between the two. The Tramp is a scrapper himself, fighting desperately for employment, but to no avail, alas. Dog and man enter The Green Lantern bar to find a mother and wife figure in Edna, who, as an amusingly awkward torch singer, has the locals in buckets of tears. (Literally. This scene also includes Henry Bergman in mighty uncomfortable drag). Edna’s Big Boss Man threatens her with: “flirt or you’re fired! Give them a wink and smile!” Poor Edna’s just no good at flirting. “Do you have something in your eye?” asks the Tramp. Now Edna’s out of a job. Lo and behold, some local bank robbers have buried some money, which Scraps has located. It looks like Paradise has been found, but not before at least one more scrap (which involves a surreal rendezvous with the crooks in a booth). An over-written, bucolic finale rings phony. Ambiguity pointing to a release from the hell of poverty would have worked considerably better. 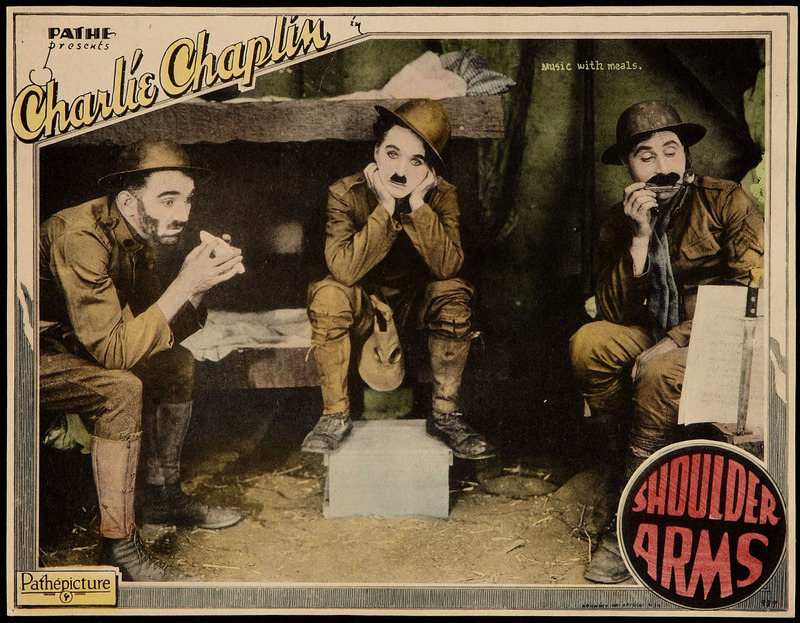 Shoulder Arms (1918) finds Chaplin again in social commentary mode, which was a gutsy move considering that the star was under intense criticism for not having volunteered for service in WWI. Sharp anti-war satire would not arrive full force until Duck Soup (1933) and, frankly, Shoulder Arms pales comparatively. Until the near-finale, it is what one might expect. Edna is, of course, the love interest. Here, she is a virginal French girl risking her life to save the American doughboy. 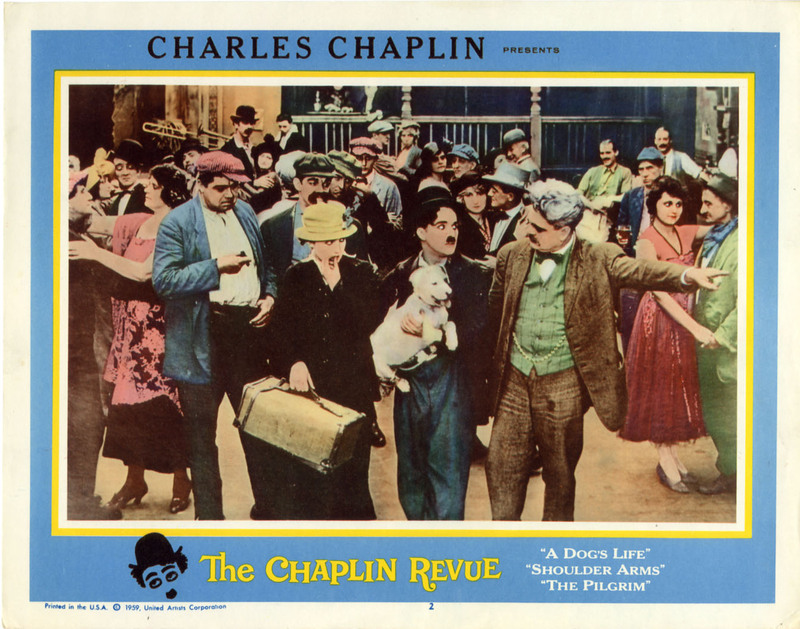 Sydney Chaplin (Charlie’s brother) also has a small role. 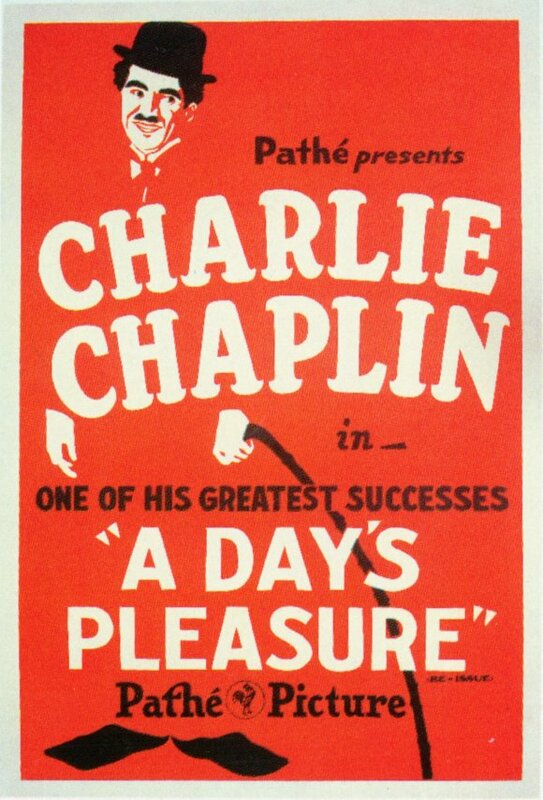 A Day’s Pleasure (1919) is anything but pleasurable; in fact, it’s one of Chaplin’s worst films. 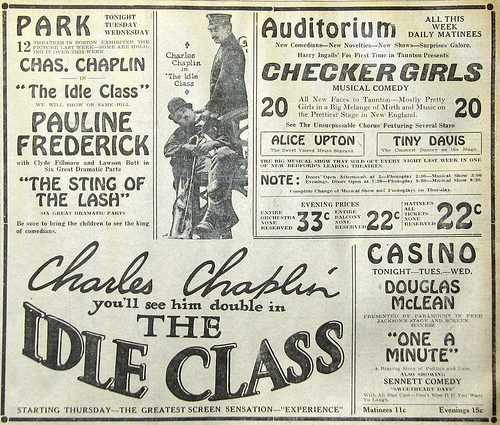 The star was working on The Kid (1921) at the time and First National was growing impatient with the amount of time he was spending on it. 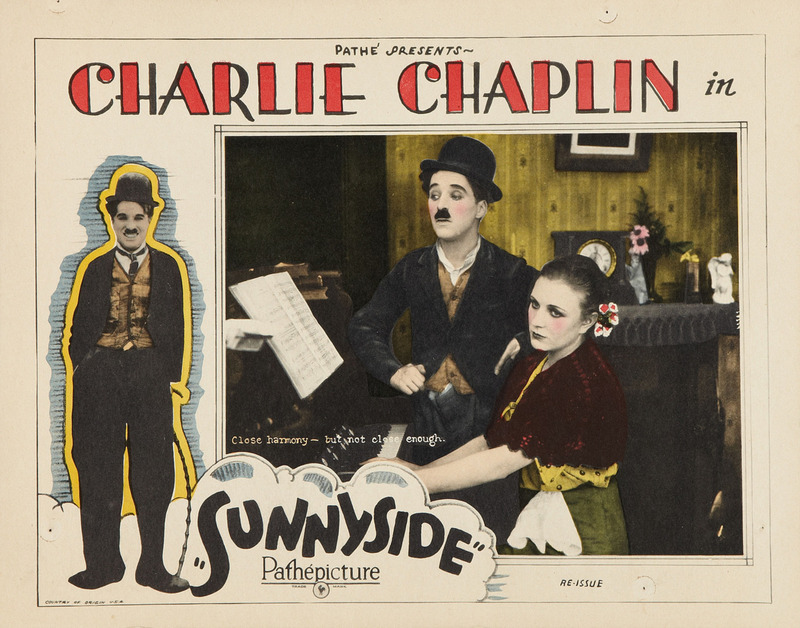 They demanded an immediate product and Chaplin responded by hastily slapping together A Day’s Pleasure in a week. 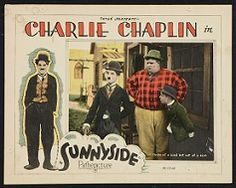 Charlie and Edna are married and have two sons (one of which is played by an uncredited Jackie Coogan). Charlie loads the family up into the Model T. This new motor car contraption apparently has not had its morning coffee, which leads to mechanical slapstick, none of which is particularly funny. 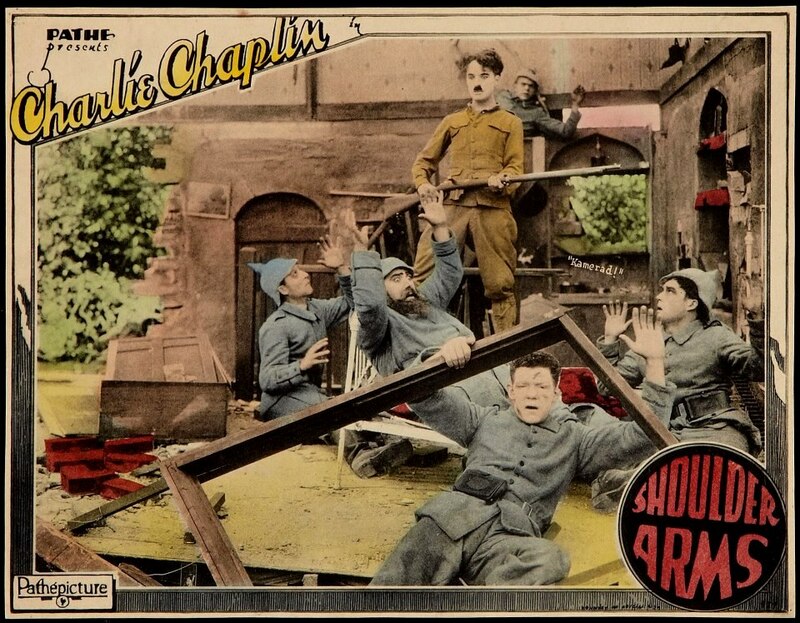 It’s calculated mayhem, recycled from third-rate slapstick of the period. Once the family is off and running, they arrive at a boat for a sea cruise. 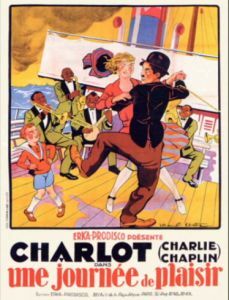 More third-rate slapstick, and a black musician turning white from sea sickness. After the excessively long cruise ends, Charlie is back in his Ford for more excruciatingly painful slapstick. The American public, never able to distinguish gems from excrement, made it a hit anyway, satisfying the coffers. 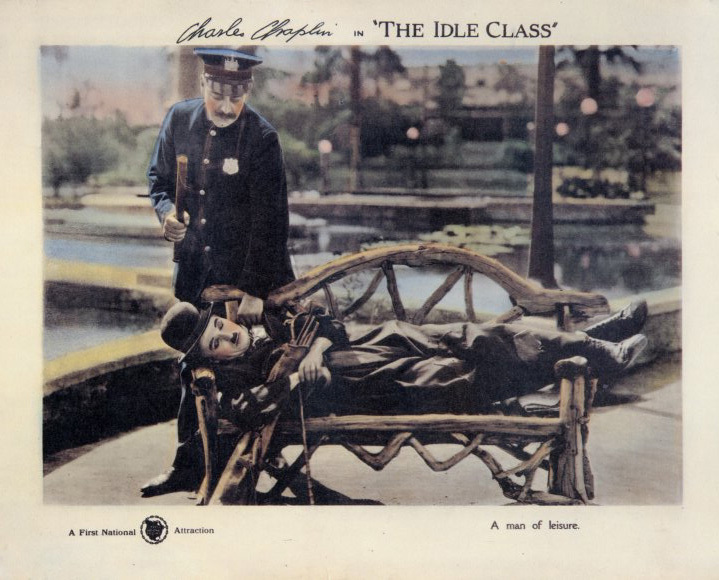 With The Kid behind him, The Idle Class (1921) is a different affair. 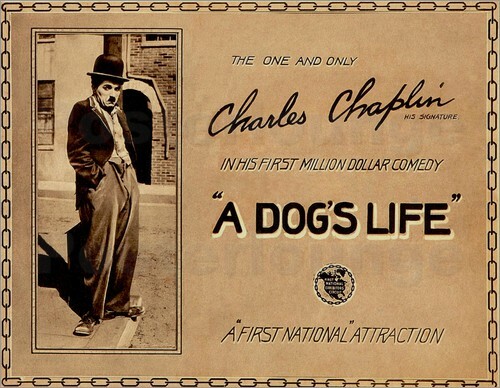 Chaplin plays two roles: the Tramp and an alcoholic millionaire married to Edna. 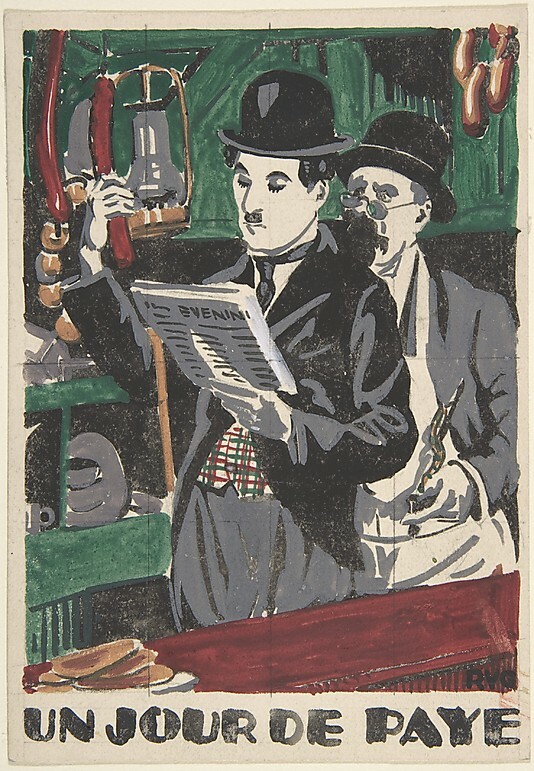 There is some inventive slapstick: the millionaire, seen from the back, seems to be having an emotional break down after reading a letter of rejection from his wife. When he turns to face the camera, we see he is actually mixing a drink. In another scene, the millionaire, having forgotten his trousers, uses a newspaper for a skirt, as he walks on his knees to the elevator. 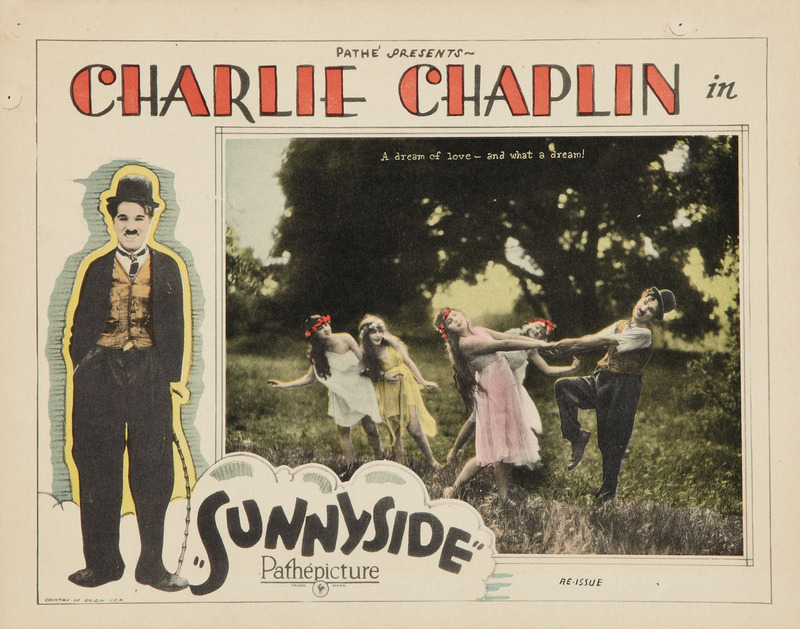 Only Chaplin could make a game of golf seem kinetic. He shows his cruel streak here, stealing a cigarette case, allowing a fellow golfer (John Rand) to receive a brutal beating from Mack Swain (a beating which should have been the Tramp’s), and doing an about face by playing good Samaritan to a girl thrown from a horse. There is also a precursor for a later plot development in City Lights (1931). The Tramp, evading trouble, weaves in and out of parked limousines, emerges from an open door, and is mistaken for a millionaire. Naturally, this is going to lead to identity mix-up, which occurs at a masked ball. The millionaire, Edna, Swain, and the Tramp engage in spirited hi-jinx. 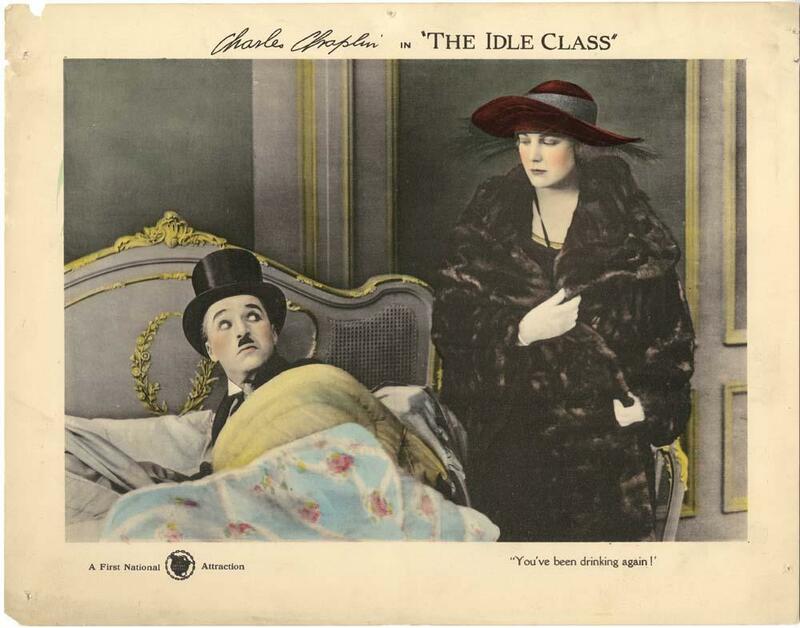 Although, primarily fluff, The Idle Class is one of the better First National efforts, highlighted by a near-perfect score from Chaplin. 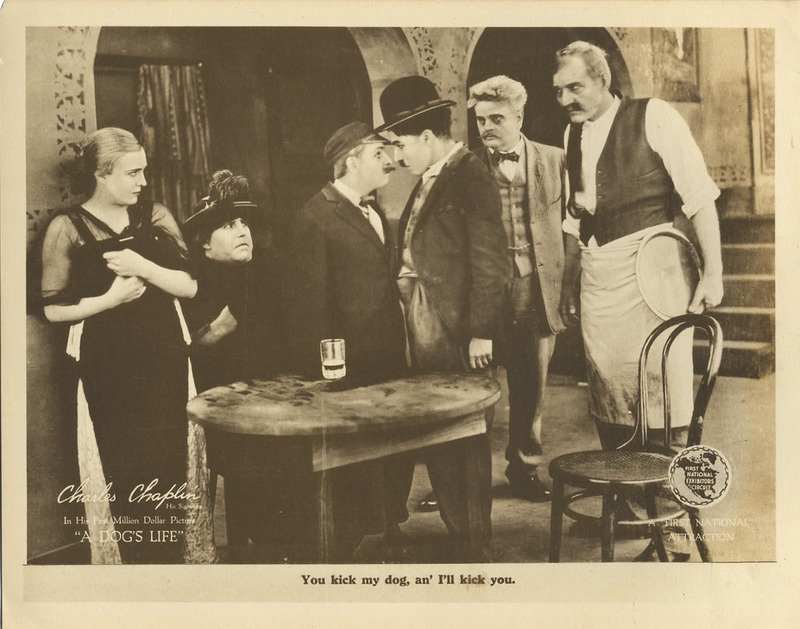 Edna is daughter to Mack Swain again in Pay Day (1922), but the role amounts to little more than a cameo. Swain is a construction site foreman to the Tramp (called “the Laborer” here). There are slight shades of Modern Times (1936) to come (in the work site scenes). Here the Laborer is married to a bully shrew (Phyllis Allen), complete with roller pin and curlers. The tension between them is meat of the film. When our hero has a drunken night out with friends (which includes Sydney Chaplin), you can rest assure that hell awaits in Phyllis scorned. Pay Day is paced well and has a near-classic ending in a bath tub. 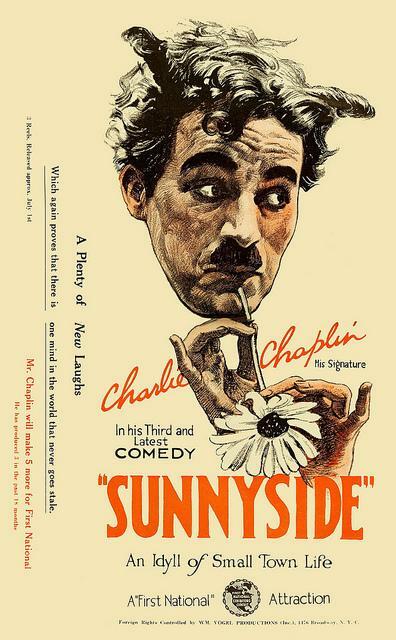 Sunnyside (1919) opens with a not so subtle Chapliesque swipe at the hypocritical reverence inherent in Americana. Chaplin’s iris opens on a church steeple cross. This dissolves into a frilly plaque, which reads “Love Thy Neighbor.” The owner of the plaque is tyrannical farmer Tom Wilson. Tom wakes early to give the sleeping farmhand, Charlie, a forceful kick in the daily duties. That accomplished (after a few, predictable false starts), Tom returns to bed.After breakfast is served, we learn that it is Sunday morning. All the true Christians are where they are supposed to be: in church. Charlie’s loaded down with work, so he can’t (and won’t) join them. However, he will peek into what it’s all about, by taking a look-see at the Good Book. While doing so, the herd of cattle he is leading wanders off and disrupts the church service, driving the parishioners out the doors. 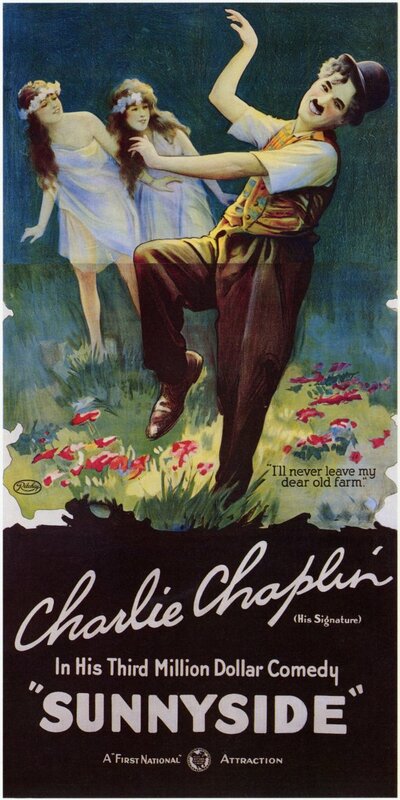 Chaplin’s nose-thumbing at the the facade of rural reverence is about as subtle as a pair of brass knuckles. So much the better. Unfortunately, the dream sequence is far too brief. 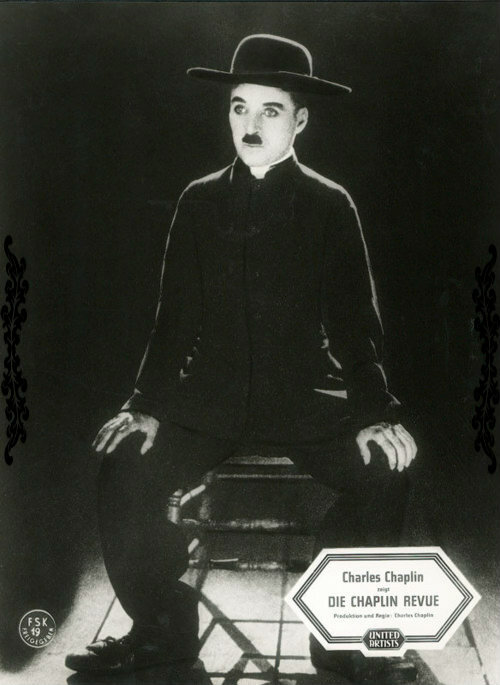 Chaplin, in a much smaller way, was to American Protestantism what Luis Buñuel was to European Catholicism. However, Bunuel did it better. 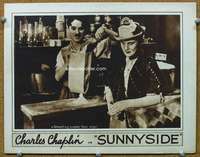 The true ill-fitting element in Sunnyside is the romantic subplot between the Tramp and leading lady Edna Purviance. Edna has another suitor: the Fat Kid, who is clearly slow on the uptake. The Tramp takes advantage of that weakness, cruelly ridiculing his rival. Although it is an bad fit, and an extremely uncomfortable one at that, it does take us back, albeit briefly, to the Tramp of Keystone, who often revealed an inherent selfish, mean streak. So, in that sense, the revelation of a less than saintly Tramp is a bit refreshing, while admittedly wrecking the composition of the film. 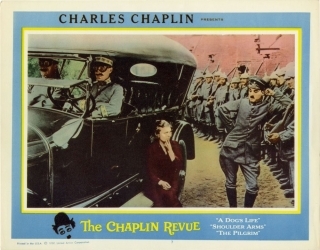 The ending has a rushed feel, partly due to Chaplin’s constant battling with First National. 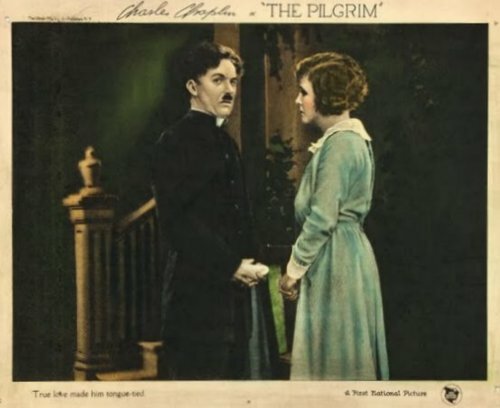 The Pilgrim (1923) was Chaplin’s last film for First National. It was also his final short. This is Chaplin’s anti-clericalism at it’s best. 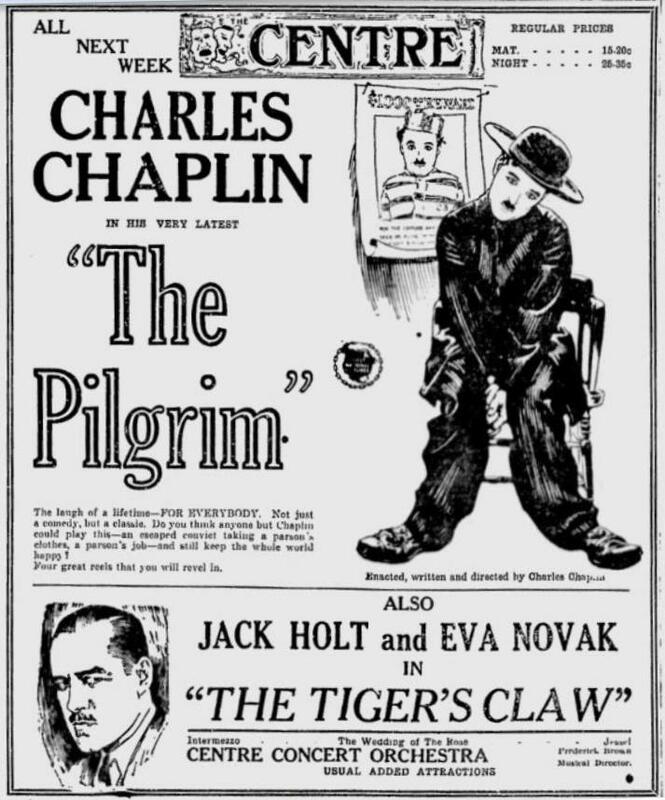 Audiences identified, making it a bona fide hit, much to the chagrin of the Evangelical Ministers Association and the Klu Klux Klan who teamed up (imagine that) to denounce The Pilgrim as a blasphemous mockery to organized religion. 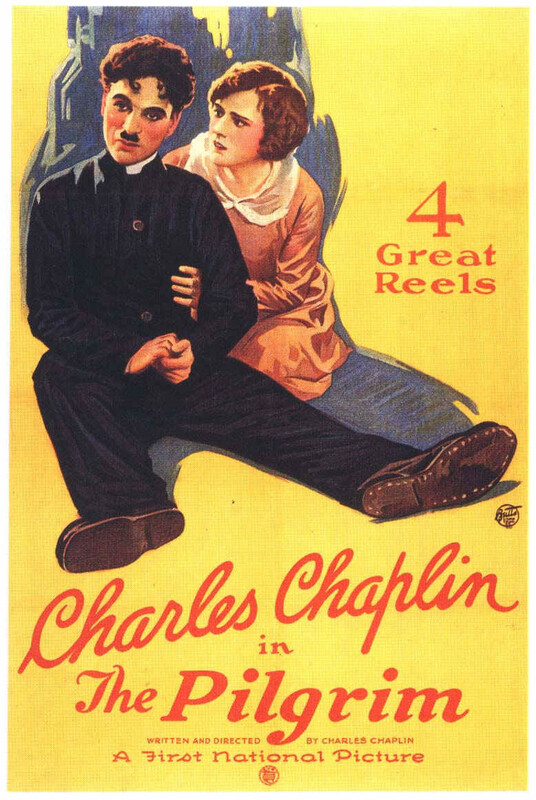 Chaplin does not play the Tramp here. His character is the Pilgrim, an escaped convict disguised in clerical attire. At the train station, he purchases a ticket to Devil’s Gulch, Texas. Meanwhile, the residents of that town are awaiting a Rev. Pim to fill in their newly open position of pastor. Unknown to them, and most convenient for the Pilgrim, the real Rev. Pim is running a week behind. Charlie, of course, steps off the train just in time for a case of mistaken identity. The small congregation, lead by the Deacon (Mack Swain) are on hand to welcome their pseudo-pastor. Unfortunately for Charlie, he has stepped into the clerical shoes just in time for Sunday-go-to-meeting. The Sunday promenade with Deacon Swain is highlighted by our Pilgrim swiping the elder’s Southern Comfort. However, the Pilgrim doesn’t even get in a swig before an inconvenient banana peel wastes that much-needed elixir. Naturally, the service reveals this Rev. Pim as untried and uncomfortable, but he’s not so awkward when it comes to making sure the collection plate is abundantly filled. Perhaps he is a true cleric at heart after all. 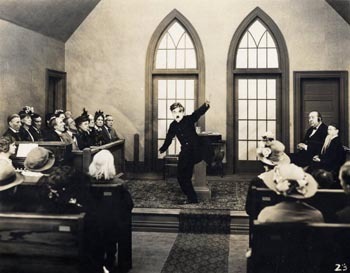 The homily is classic Chaplin. The Pilgrim picks the David and Goliath story to tell, but his Bible interpretation is refreshingly free of embedded theology. In buoyant pantomime, the good reverend depicts little shepherd boy David provoking the Philistine warrior Goliath. However, rather than a kill shot, David’s wimpy little sling merely manages to provoke a minor headache in the giant. Provoked, rather than defeated, Goliath promptly draws his sword and decapitates the irksome gnat. A child in the congregation, who has not yet been conditioned by his religion, gives his new pastor a standing ovation, while the grown-ups stand in abject horror. They have come to the comfort and safety of church, only to have their traditional narrative exposed as myth. The most child-like persons in the church, the Pilgrim and his young fan, are the only two who appreciate it. The service over, the Pilgrim is told he will be boarding with Edna and her elderly mother. 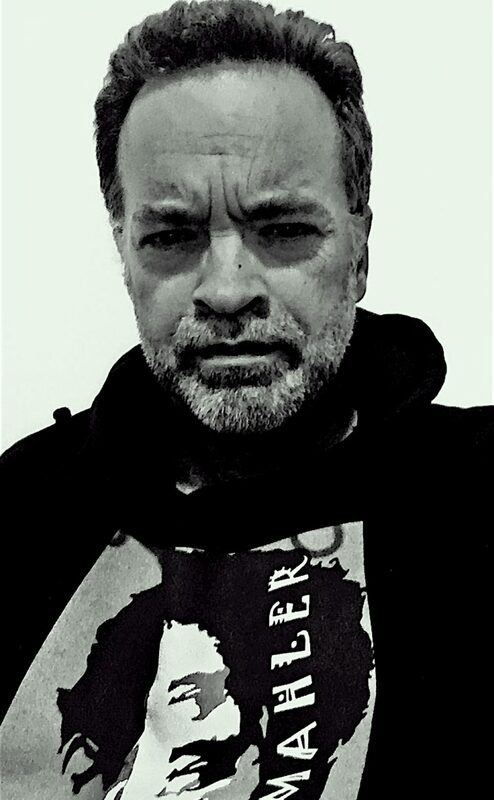 An argument for pro-choice, a discovered wanted poster, and the appearance of an ex- prison cell mate will prove to be flies in the Pilgrim’s ointment. Fortunately, he has a conscience and a guardian who will notice. 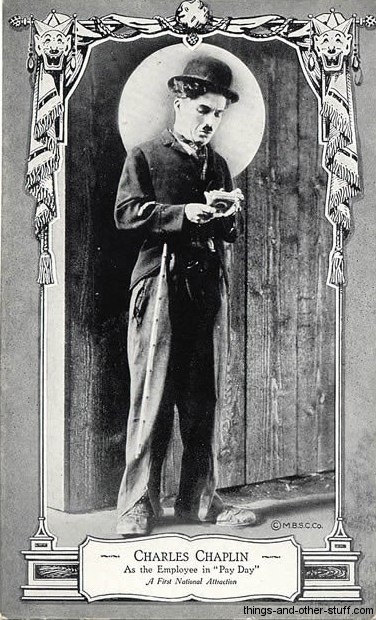 The Pilgrim is short on Chaplin’s trademark sentiment and admirably long on licentious parody. 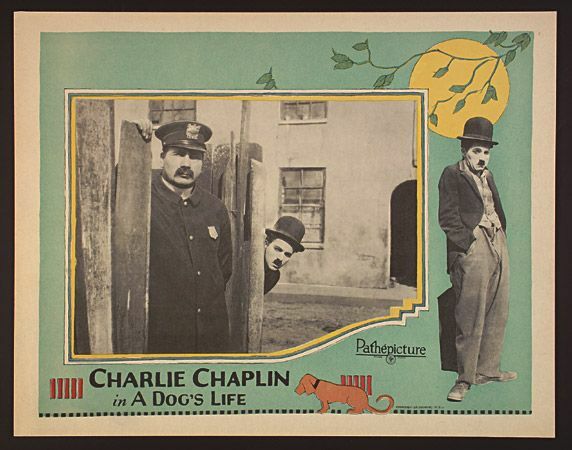 This entry was posted in BLUEMAHLER'S WORLD OF SILENT CINEMA, short film and tagged Charlie Chaplin, silent film by Alfred Eaker. Bookmark the permalink.